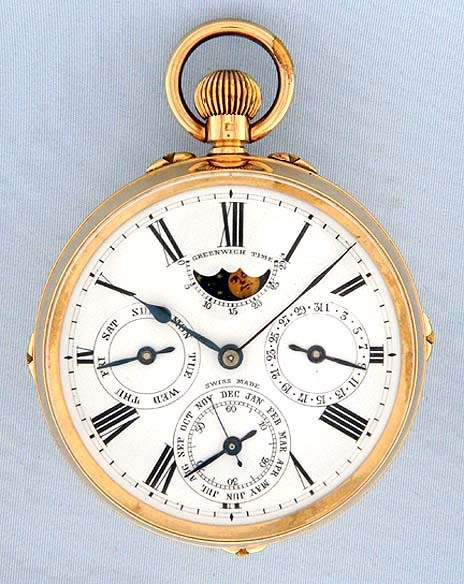 Fine and rare Swiss 18K gold double dial world time moon phase calendar antique pocket watch circa 1890. Bold enamel dial with black markings, blued steel hands, calendar indications and moon phase aperture. 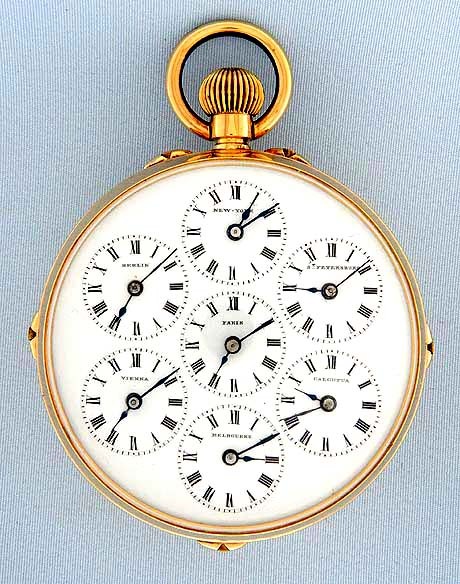 The back dial with the time in 7 major cities around the world. The dials with multiple clean hairlines. The plain polish case with minor edge dings. Gilt 15 jewel lever movement. Handsome.